Last September, I sang my dentist’s praise. Now I thought: why not dedicate a friendly cartoon and text to other of my everyday heroes, too? So here is one of them. Every two or three weeks, I drop by at Mrs W.’s booth on the weekly market. 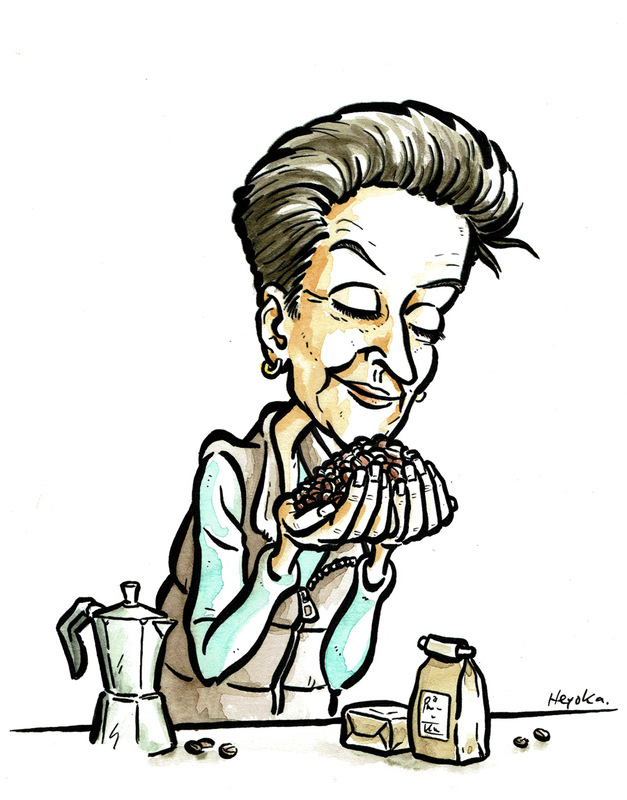 She has been roasting coffee and creating her own blends since long before the hipsters and snobs “discovered” coffee. Moreover, Mrs W. and her team do without any fuss and without fanfare but with all the more cordiality and cheerfulness. And in my humble opinion they simply have the best coffee in town.